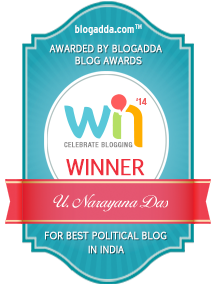 VOXINDICA: Diwali Ban: SC, A Willy-Nilly Victim Of “Secular” Anti-Hindu Machinations? Diwali Ban: SC, A Willy-Nilly Victim Of “Secular” Anti-Hindu Machinations? The Hindus of Delhi will not celebrate Diwali this year, at least not with the usual fervour associated with the festival of lights and crackers, thanks to an ill-conceived judgement by the Supreme Court. 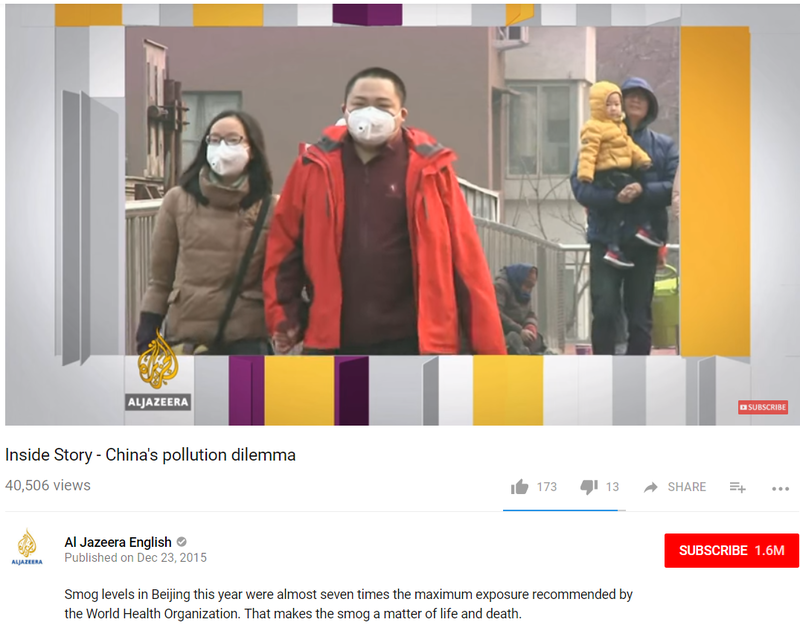 In order to answer our first question, let us turn to Inside Story -China's pollution dilemma originally published on the Al Jazeera website on December 23, 2015. 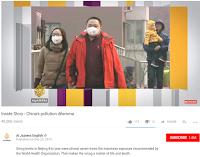 It features a panel discussion on the problem of air pollution in China. A report by Adrian Brown preceded the panel discussion moderated by Kamahl Santamaria. The panelists were Einar Tangen, (Political and economic affairs analyst advising the Chinese government), Steve Tsang (Senior fellow at the China Policy Institute at the University of Nottingham, UK) and Tamara Savelyeva (Professor at the Hong Kong Institute of Education). Air pollution contributes to 17% of all deaths in China; 90% of cities failed to meet national air quality standards. Air pollution accounted for 1.6 million deaths in a single year. This means 4400 people die every day. The levels of air pollution are seven times the maximum exposure recommended by the World Health Organization (WHO). The government is forced to close schools, colleges and factories in order to protect people from pollution on the days on which there is a “spike in the particulate matter in the air”. In the words of Einar Tangen, “China polluted its way to success!” The major contributing factors of the air pollution were the coal and steel industries. Attempts to transit from coal as the energy producer have been on but it is a difficult trade off in view of the highly labour-intensive nature of the industry. The economic costs of air pollution are already telling on the economy. The nation can be said to have reached its threshold limit. By no stretch of imagination could one ascribe the problem of air pollution in China to firecrackers or Diwali. The problem therefore should lie elsewhere. 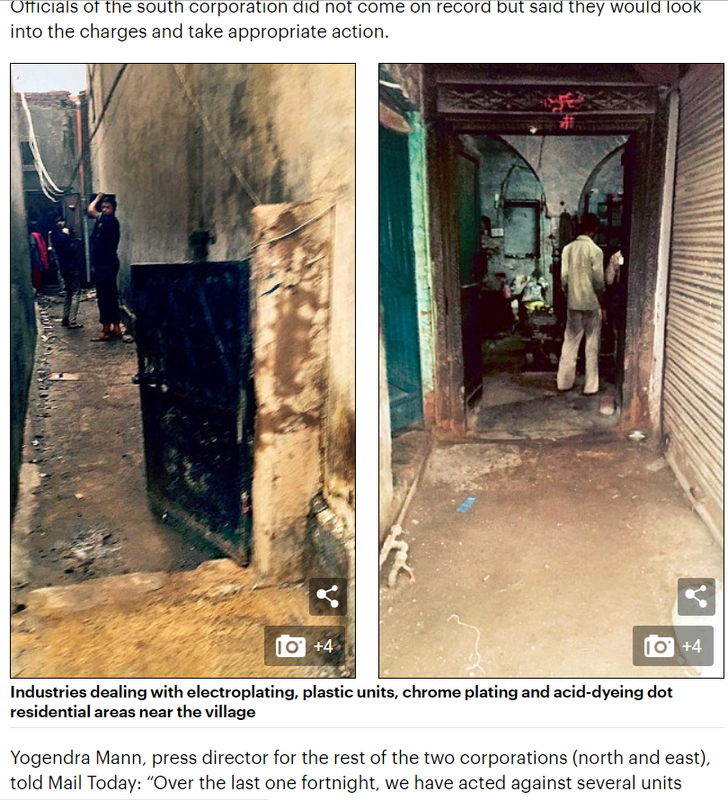 Here is a snapshot of a news report published in 2015 in Mail Today, according to which there are 110,000 smoke emitting cottage industries in Delhi. What causes pollution then? 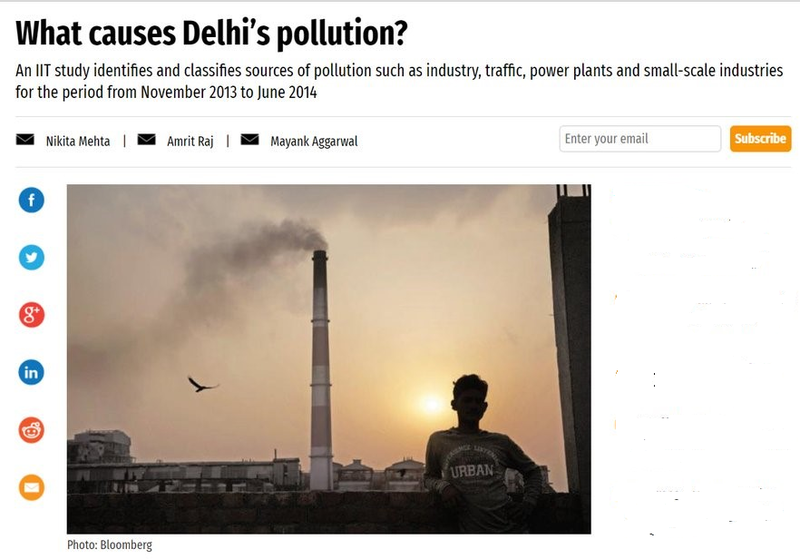 An IIT study report of 2013-14 published in Bloomberg identified industry, vehicular pollution, power plants and cottage industries as the main pollutants. Fireworks and asthma Few investigators have identified the association between asthma and exposure to fireworks. Fireworks and COPD We could not find any publications identifying an association between COPD and firework exposure. An association between repeated exposure to firework emissions and respiratory symptoms has not been definitely identified. 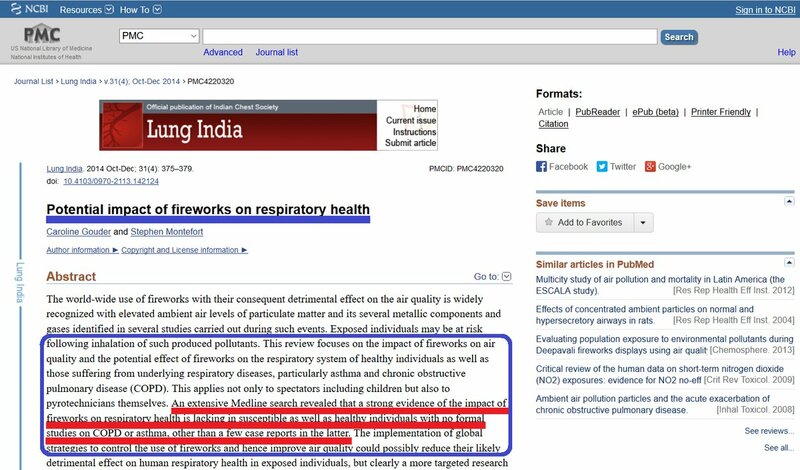 One can argue that typical exposure to such pollutants is limited, as assessed by Singh et al., ranging from a few hours to a few days, depending on the duration of the firework festival, thus probably only causing minimal exposure. Also, fireworks are often let off following sunset when most people would go indoors to sleep after seeing the show, hence limiting exposure time to the ambient air pollutants. Is everyone, the “children”, the activists and the Supreme Court oblivious of the elephant in the room and barking the wrong tree? Or is there any other ulterior motive for the “activists” which the Hon’ble Supreme Court, to give it the benefit of doubt, did not sense? 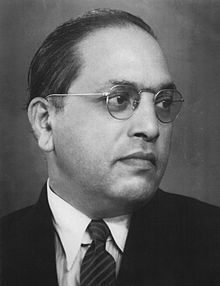 In the end, was it misplaced judicial activism? "Delhi firecracker ban had no impact, say studies"